PSD to WordPress conversion is a great deal important for your website. You get a search engine-friendly portal and all other functionalities that are crucial for a website to possess. Many people talk about the websites that are built effortlessly using some superior tools and platforms, but you cannot get the design you want using the advanced tools. Customization of your website gives it a unique look and requires more abilities and a strategy in place for efficient conversion. So, here’s a step-by-step process that you need to follow to make the switch from PSD to WordPress. When your design is there with you in PSD format, you need to do some slicing. This step ensures that your website has a short loading time. As an example of slicing, the header can be one slice, the footer another, and the rest of the elements can be called the third slice. Slicing can be done using Adobe Photoshop as it has a built-in capability to divide an image into parts and save them in the form of separate files. Tip: This is the most crucial step as a pixel’s mistake can cost you the whole design. This is where the programming begins. First, you need to create an HTML file and save it. Then, as per your requirements, the pieces created in the previous step can be assembled. It is advisable to use the DIV facility to accomplish this task for its versatility and the ability to overlap and align as needed. 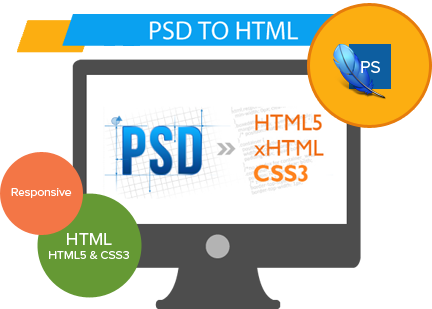 After you are done with the basic HTML coding, you will notice that your design does not resemble your PSD design yet, and for the fine PSD to WordPress conversion, you will have to code a part of the design in CSS. Now, we assume you have a CSS and an HTML file each. Now, the real process of PSD to WordPress conversion begins. Now, you need to break the HTML file further to set the predefined structure of the responsive WordPress theme. Since you have included all functional elements in the HTML file, you need to break it a bit and distribute the code to various WP files. Just some copy and paste, that’s all. The WP files use .php as their extension. You just need to open an editor and start the job of copying and pasting. For example, the header file will be named header.php, and you can paste the header code into this file. Now, the PHP files need to be converted to WordPress themes. You need to include some WordPress tags in your files. WordPress is a well-maintained platform with a lot of ways to get things done. The detailed online documentation of the platform will help you through this step a lot! Once, you are through with this step, create a folder with your theme name and save all the files thus created into it. Now, you need to upload it to /wp-content/themes. Now, go to the WordPress dashboard, and you’ll find your hard work there in the form of a WordPress theme. 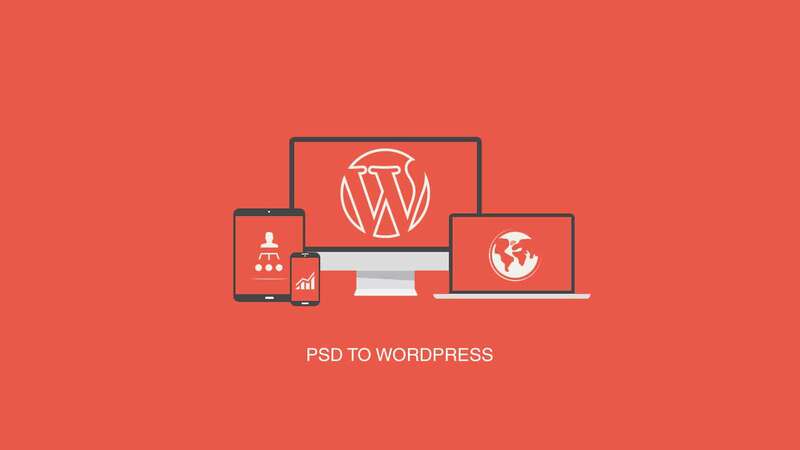 If you are not yet satisfied with your PSD to WordPress conversion until now, you can strive to improve your website with some other features and functionalities. These features can only add to your visitors’ overall experience of your website. For example, you can add a 404.php file so that your visitors don’t get an ugly error when they try to access a URL on your website that does not exist. It is better if they find a page you created. With these simple steps of PSD to WordPress conversion, you have your WordPress site up and running. While you may have to do some background learning for the codes you want to include, the toil is worth it.